T5 was always max in Korea, so finally we got them, about time. Or just a bandwagoner, and a lazy one at that. It is my theory that they're only putting out the garbage looking and useless outfits while we all still have coupons sitting around. 0/10 patch waste of afk fishing time. Not unless your stands name is "Za WORLDO"
I wish to know why you contradict yourselves, Pearl Abyss and/or Kakao Games. 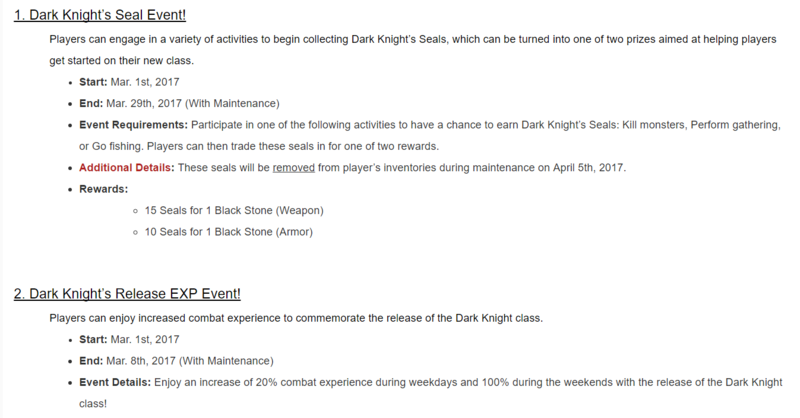 You state that the +20% EXP Boost, which is part of the Dark Knight Event, would continue until the 29th March 2017. Today is not 29th March 2017. Please clarify why you've cut short a useful player bonus? been too long without a new Musa costume. Thanks for another awesome patch! I dont know if its just me or not, but there are no new outfits for DK in the store, and I never received the field boss reward bundle. Anyone else? Edit: Its new costumes I see, not new outfits. I still however did not get my field boss reward bundle. So this happened too - it'd be nice to toss it on Patch Notes as a change. It never states that outfits were added, only states costumes were added. "Hair color changing for characters with the white or blue hair color during night time from the sun has been resolved." Another week without new outfits for the rest of the classes...Kuno hasn't gotten a new outfit yet... I swear this company don't know what to do with the pearl shop, they constantly rerelease the same fcking outfits all the time and korea is gonna have 100s of outfits by the time we get a new one. ??? what's wrong with them? 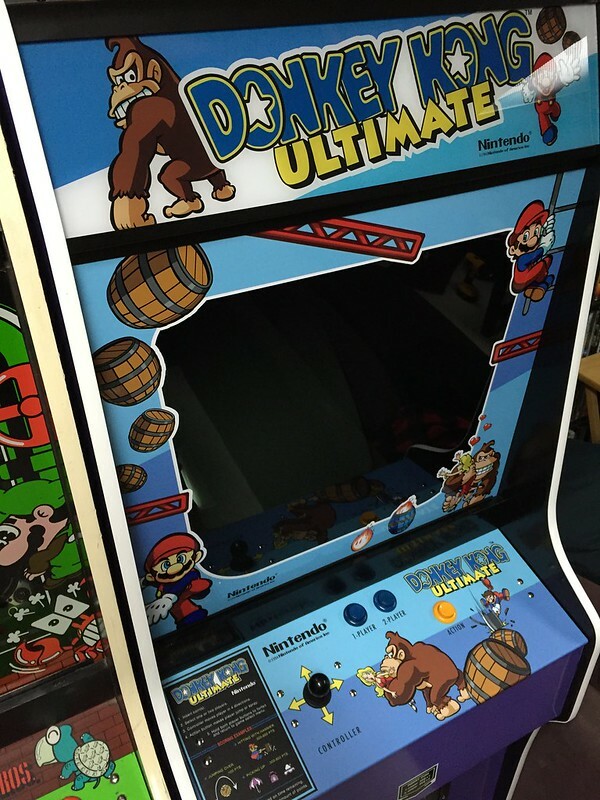 I've used the regular ultimate many times you just have to add it to your skill bar. The 200% works as well... is the damage off or something? can you elaborate? Is there some sort of terrible communication between the devs and patch note writers? So many things change without ever being written in the notes makes me wonder if it's just bad communication on the inside or just kakao/peal abyss being sneaky with their game. Feels like equal portions of both...especially with this one.